Sometimes, even my mad couponing skills doesn’t make certain items cheaper than making them on your own. I came across many tutorials on how to make common household items and even some premiere products. I haven’t gotten a chance to try them all yet, but I thought I’d share anyways. 1. 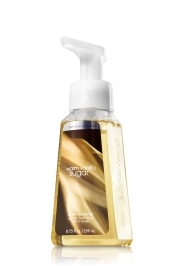 Foaming hand soap from Bath & Body Works. According to The Frugal Girls, just fill an empty foaming soap dispenser with an inch of regular hand soap and fill with tap water to the top. Mix slowly. Price of DIY: Hard to judge, since you can make so many bottles of foaming soap from one bottle of regular hand soap, but I’m going to guess no more than $0.10. Here’s another Bath & Body Works rip off. I’m a sucker for those wallflowers plug ins, even though the cost adds up. I try to go to their semi-annual sales in June and December, but even then the best I can get is usually one refill pack (with two bulbs) for $5. Now, I save my Wallflower bulbs and refill them with essential oil I’ve purchased elsewhere. I bought a big bottle of lavender scented oil for $5. It will easily fill at least eight to ten bulbs, which makes the cost of each bulb between $0.50 to $0.63. 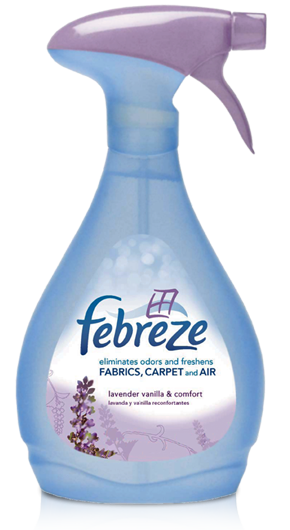 Fake it Frugal uses some liquid fabric softener, some baking soda, and warm tap water to create her own Febreeze. She claims it cost about $0.15 per bottle when you make it yourself. 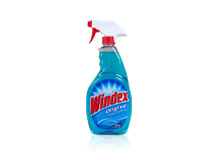 Stealing another Fake it Frugal idea, you can make your own Windex for about $0.27. She uses ammonia, rubbing alcohol, a drop of laundry detergent, and some water to make her own. Yellow Brick Home makes her own powder laundry detergent and it couldn’t be easier. All you need is a cup of Borax, a cup of washing soda (like baking soda, but its washing soda), and a grated up laundry bar. I believe she said you have enough borax and washing soda for five batches of the detergent when you buy one standard sized box of each. 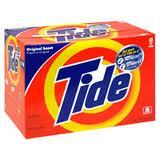 And the laundry bars are only $1 each! 6. Bumble and Bumble Surf Spray. Huzzah Vintage’s DIY-ness blew me away. With just a little water based hair gel, some epsom salt, and tap water, you can make the super expensive $23 spray made by Bumble & Bumble. I’ll definitely be trying this out next summer to get those lovely beach swept wave look. Be sure to report back with your results if you do try one of these. Oh, and definitely let me know if you have any money-saving DIY product making tips of your own.